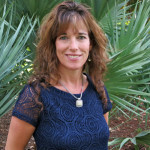 Amy Lovett is a Licensed Mental Health Counselor in private practice in Naples, FL. For the past 15 years Amy has been working with children and adults ages 10 and older providing individual, family and couples therapy. Areas of specialization include anxiety and mood disorders, divorce, blending of families, parenting, teen issues, grief and bereavement, and working with adult children of narcissistic mothers. For the past 15 years Amy has volunteered with her golden retrievers at Avow Hospice of Naples as a member of the PAWS Program. Amy has completed Dr. Karyl McBride’s WIEBGE (Will I Ever Be Good Enough?) Training and is now certified in the 5-step recovery model. Since beginning private practice in 2000 Amy has seen more adults and women in particular struggling to understand how to cope with a mother who is emotionally unavailable. Dr. McBride’s Recovery Model is very helpful in providing the much needed support and education to these clients. Amy is not on any insurance plans; therefore, fees are due at the time of service.